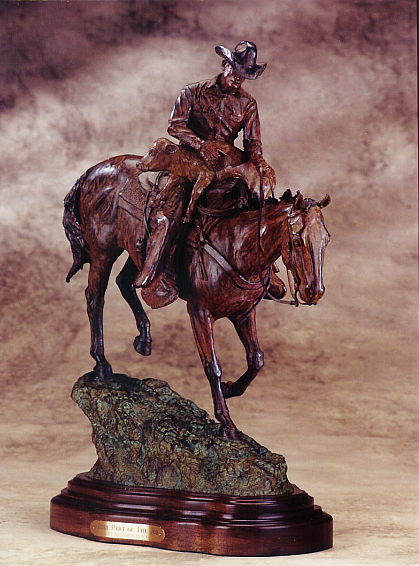 It is such a pleasure to watch a cowboy who is a great hand with a rope. 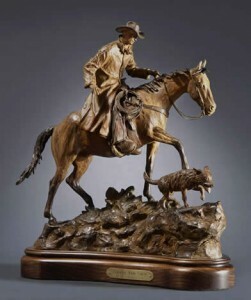 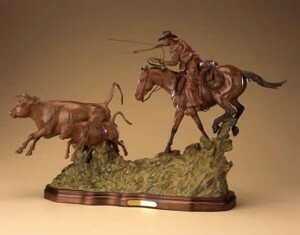 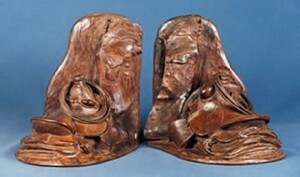 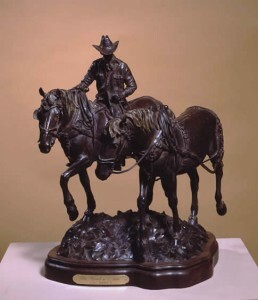 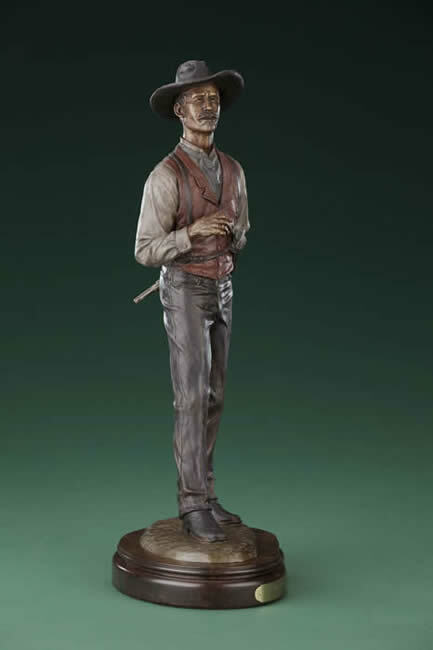 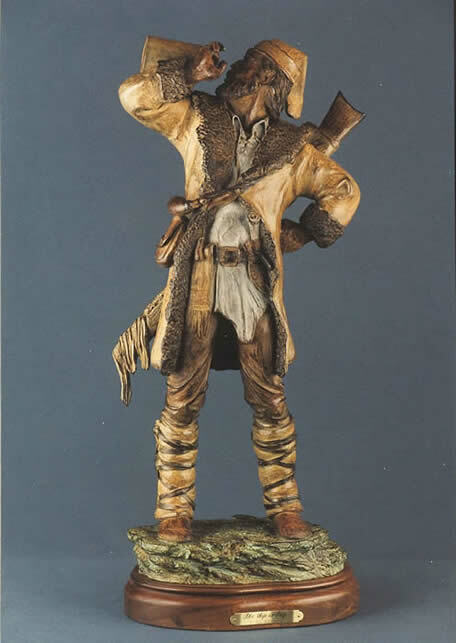 Some cowpunchers have a talent for breaking young horses, and others are better at working cattle; sorting, cutting to doctor, or branding.The cowboy in this sculpture has separated the cow and her long eared bull calf from the rest of the herd. 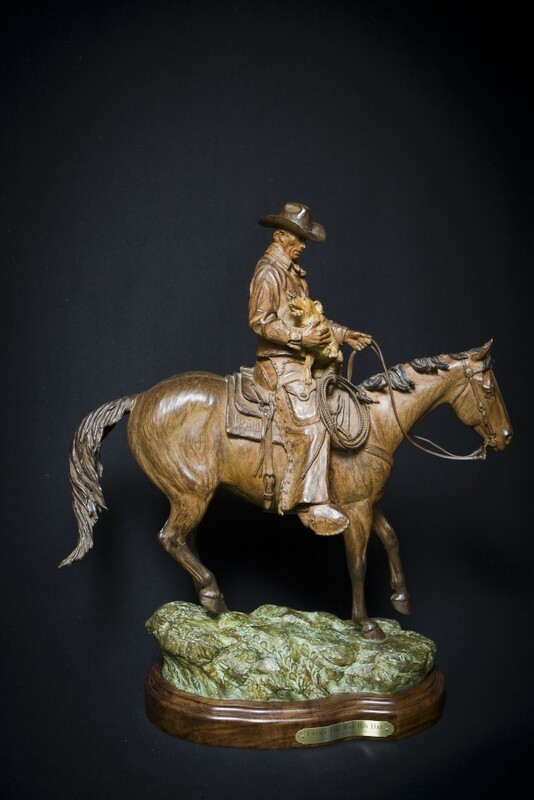 Somehow this calf was not found in the spring gathering. 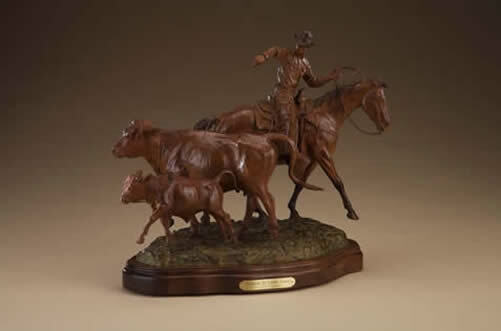 This experienced ranch-hand eases in close, slowly and calmly moving slightly past them not causing any excitement, then throwing this pretty back hand, “hoolihan” loop to catch the calf for branding. 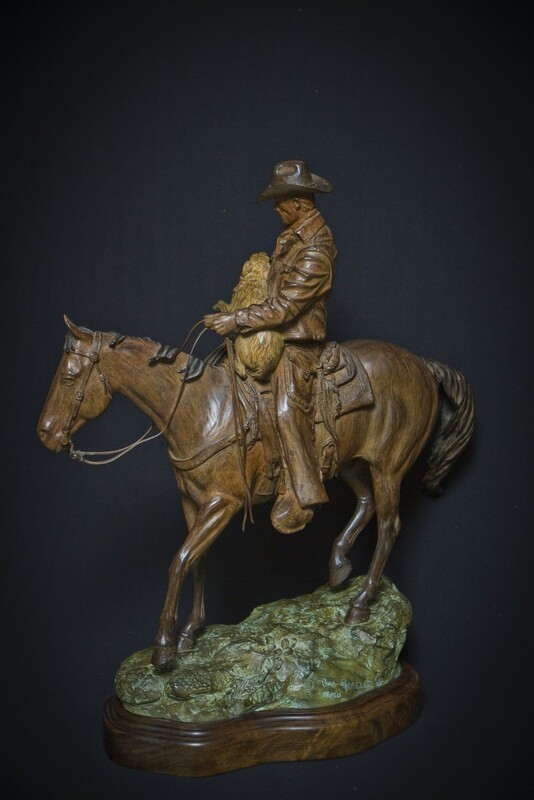 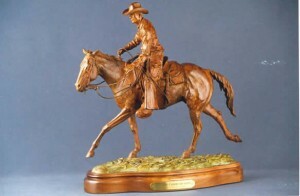 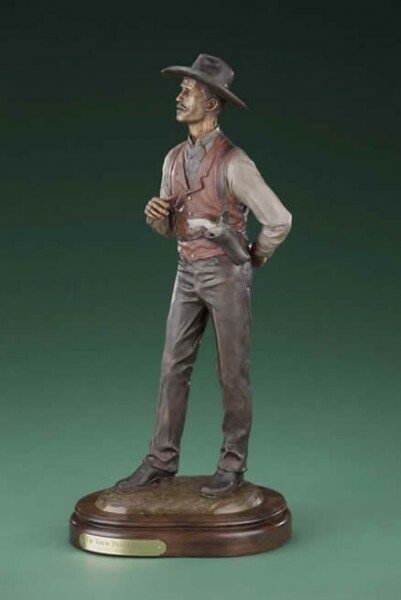 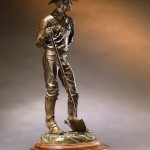 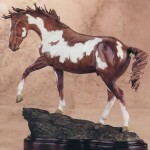 With this bronze, Bill wants to honor every good cowhand who has ever Accomplished this difficult feat; MAKIN’ IT LOOK EASY!